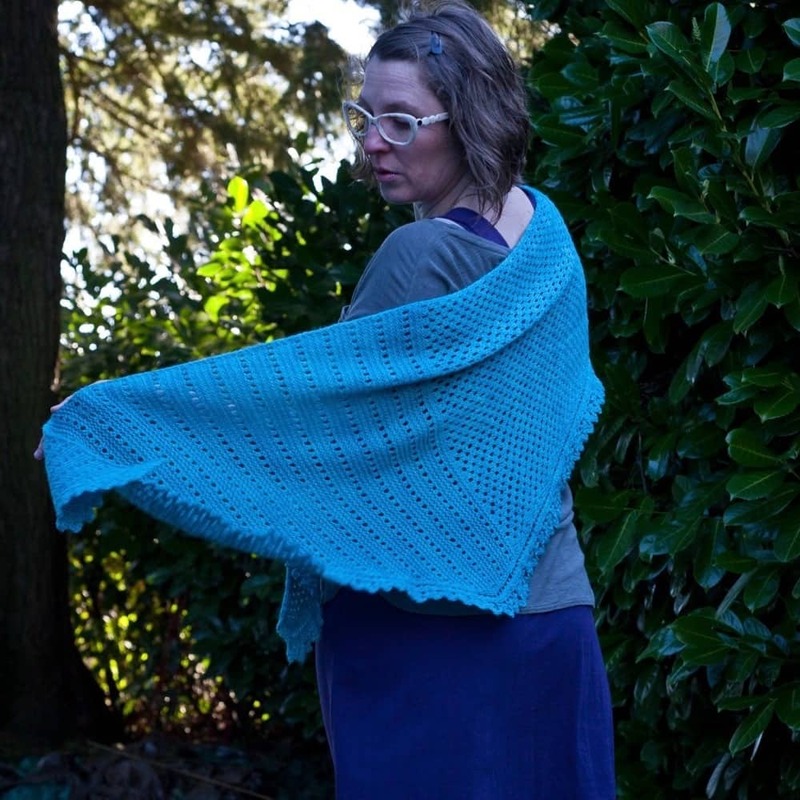 There’s nothing like Spring in the Pacific Northwest – most days, it’s enough to throw a shawlette on over a long-sleeved shirt. Vesna is the poetic word for “Spring” in the Slovene language, and refers to mythological female creatures associated with Springtime in early Slavic mythology. 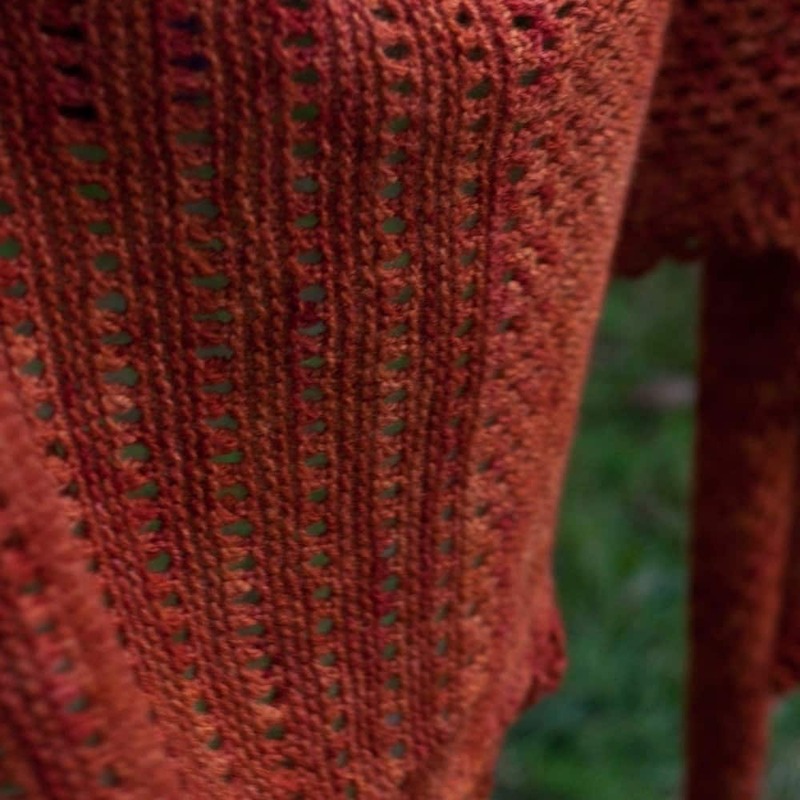 The Vesna Shawlette is an asymmetric shawlette, knitted from tip-to-tip, and it’s big enough to be a big warm hug on a cool Spring night (or a cold Winter night, if you’re still experiencing that season). Made in Blue Moon Fiber Arts BFL Sport, it’s both light and warm, perfect for whatever Vesna brings your way. Finished Measurements: 96” across longest side, 66” across at narrow slope, 36” across at steep slope. 18” deep at widest point. Yarn: approximately 620 yards sport-weight yarn. I used Blue Moon Fiber Arts BFL Sport, colorways Saffron Jungle (orange) and Cariblue (blue). Gauge: 22 stitches = 4”/10 cm in stockinette stitch, after blocking.